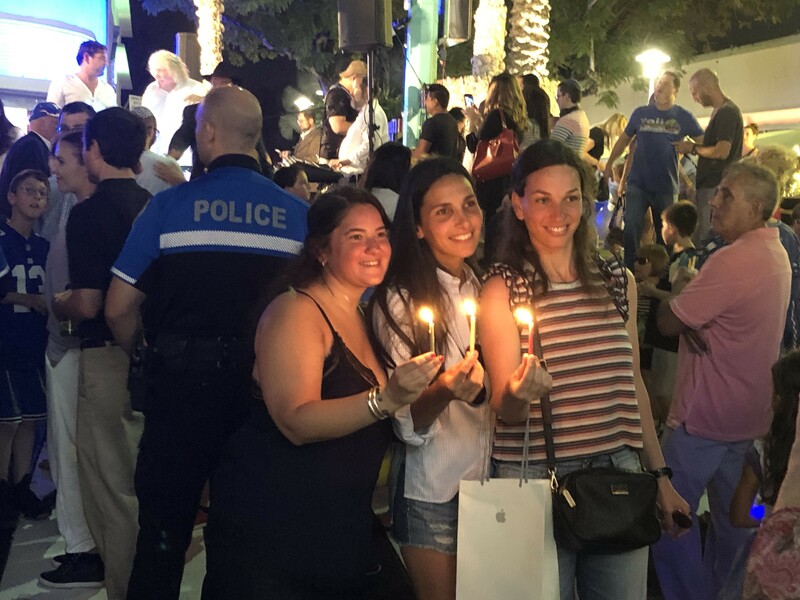 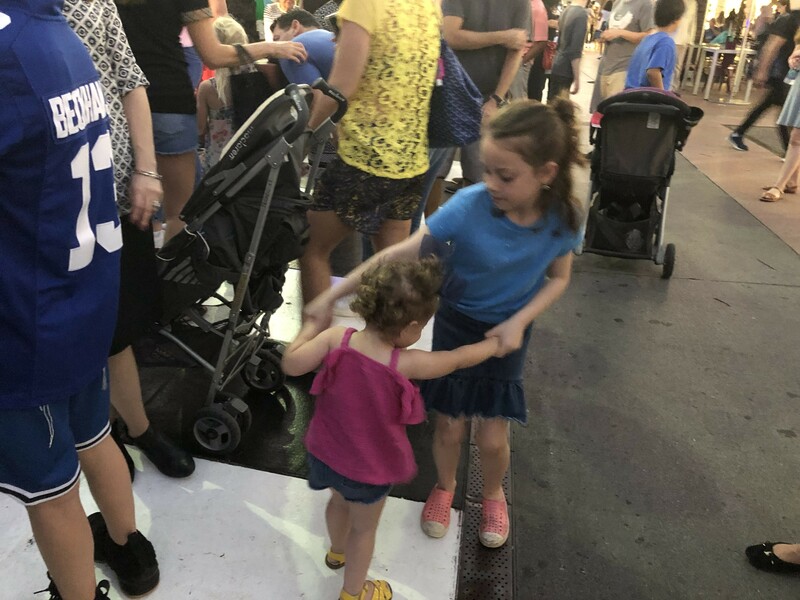 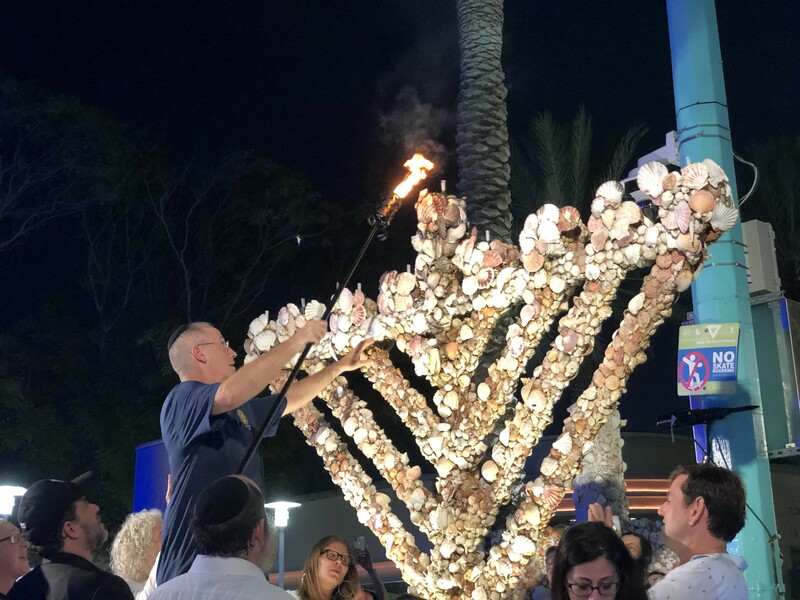 The Miami Beach community came out on Sunday for the first night of Hanukkah and to watch the lighting of the City’s beloved seashell menorah. 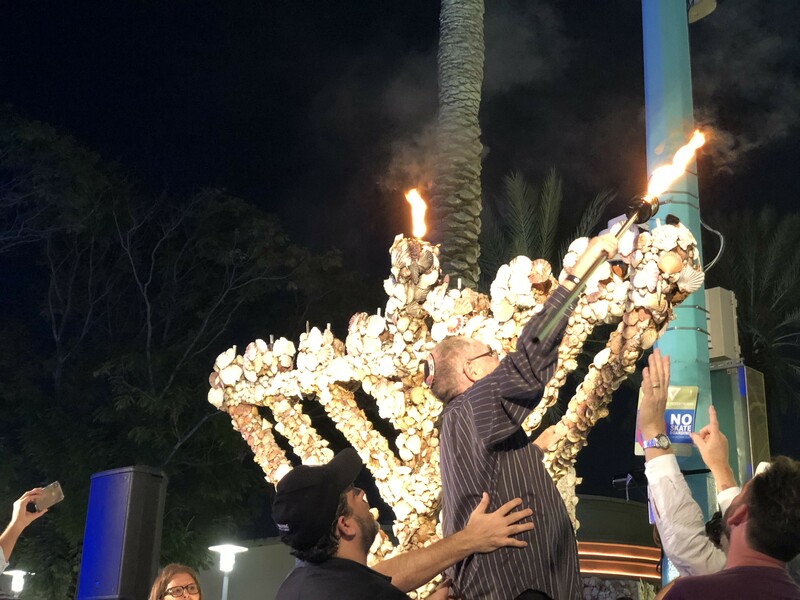 Mayor Dan Gelber lit the shamash and Alan Dershowitz lit the first candle. 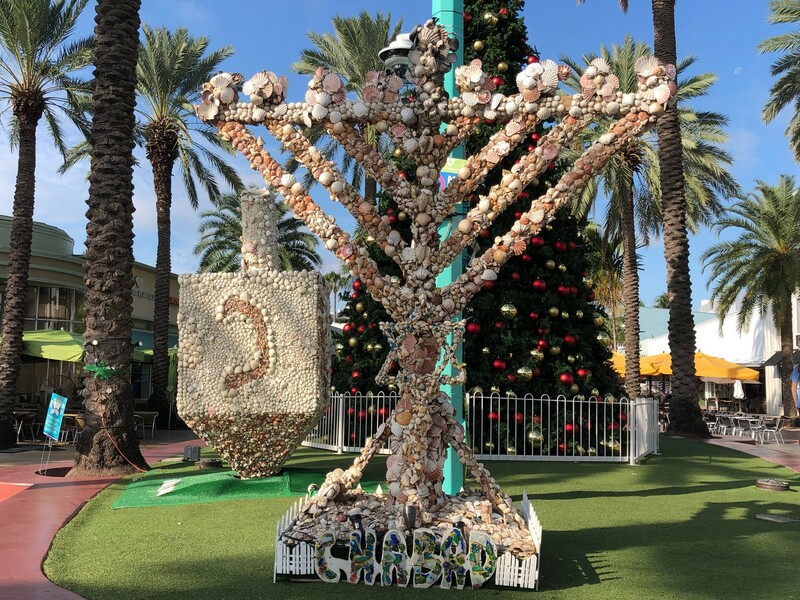 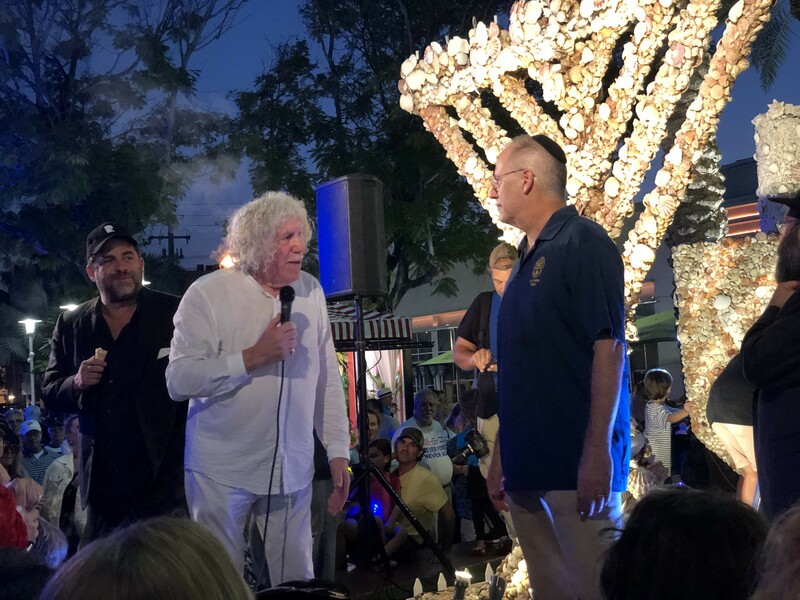 The was the 18th lighting of the menorah created by artist Roger Abramson along with the equally famous seashell dreidel.